Each year we offer Just one new boat for display at a 20% discount. We get it to the show and you can pick it up or we can arrange delivery at additional cost after the show ends. After the show you have the choice of coming to pick up your boat if you bought a trailer or we will arrange for delivery with a trucker for you. The boat will be fully outfitted with everything you ordered, ready for your use as soon as you launch it. 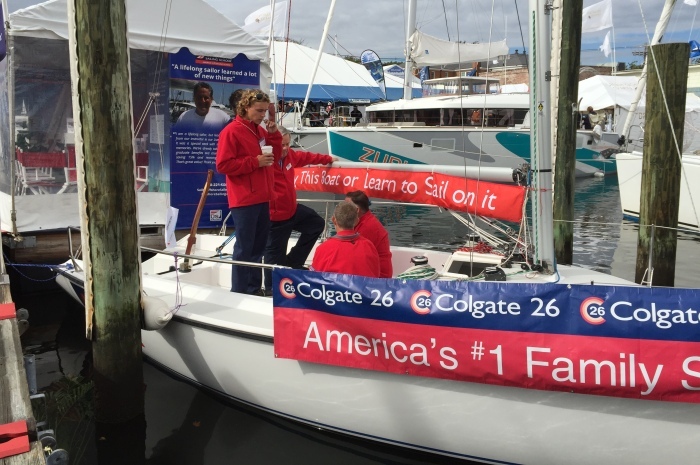 Discounts of up to 20% are available for fleet purchases of Colgate 26s for use in a sailing school, sailing club, yacht club, college or university, or other institutions. Orders for more than one boat must be placed at the same time on the same order. Please call Steve Colgate for sailboat prices and more details. What's Not to Like About the Colgate 26? Frankly, it's the best deal around for a value-packed boat that is absolutely safe, won't sink, fun and fast to sail, and a great platform for just enjoying the sailing lifestyle. Don't wait for another summer, fall, winter or spring to go by. If you are looking for a boat in the 25-30' range, this IS the boat to buy! It's fun to sail with family and friends, competitive in PHRF fleets, low maintenance, and very safe as we've said before. Why did I buy the Colgate 26? She’s a safe, stable, fast, fun learning platform. 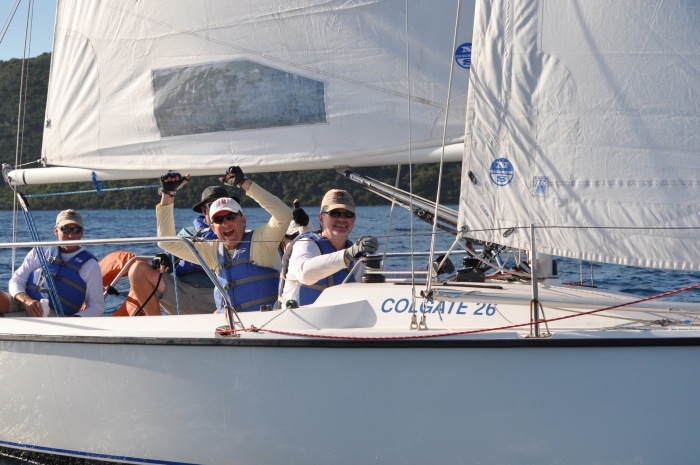 Before the Colgate, I’ve sailed and raced Sunfish, Hobies, a Flying Scot and a Beneteau 21.0. I LOVE this boat!